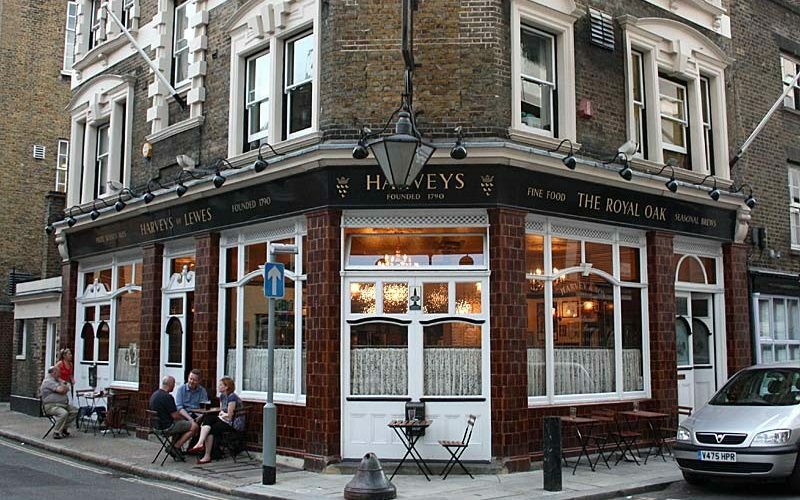 With the retirement of Frank Taylor in December, our long association with the Royal Oak in Borough came to an end. 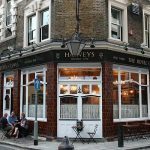 We said farewell to this wonderful Victorian pub with a real Christmas Shebang! Laurence Payne got proceedings under way with a singalong, providing us with a terrific song sheet! He was later joined by our very own Lee Taylor, who has left noisy Croydon for the leafy and musical hills of Wales! We’re sure his musical talents are welcomed there but we’re delighted that he is still able to come to our events. Another of Our Very Own, Miles Jenner, also entertained us royally and we were joined by Romany, a magician, who had come along to ensure Frank got the send-off he deserved! What happened under the large tent is best not dwelt on, but one minute Frank was wearing a red jacket and the next Romany was wearing it! Both looked very pleased with themselves! We are very grateful for all the support and superb evenings that Frank has given us at the Royal Oak. He has made it clear that he will be supporting us in our new venue - the nearby Roebuck. We wish him a very happy and healthy retirement!